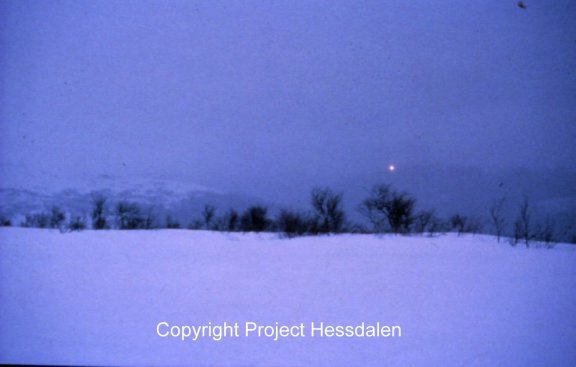 - These two pictures are taken by Leif Havik 12 February 1983, at 17.53. 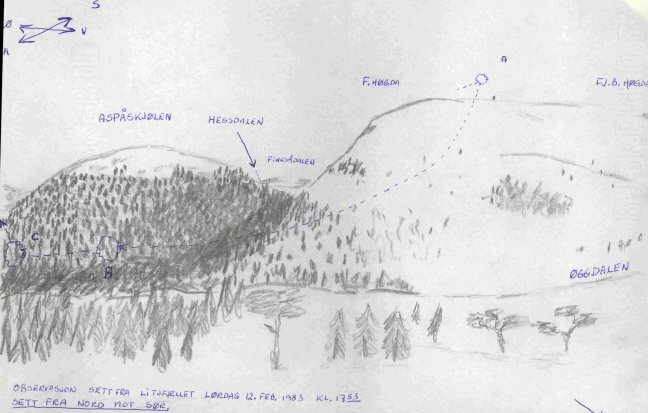 He was at Litlfjellet looking towards Hessdalen. 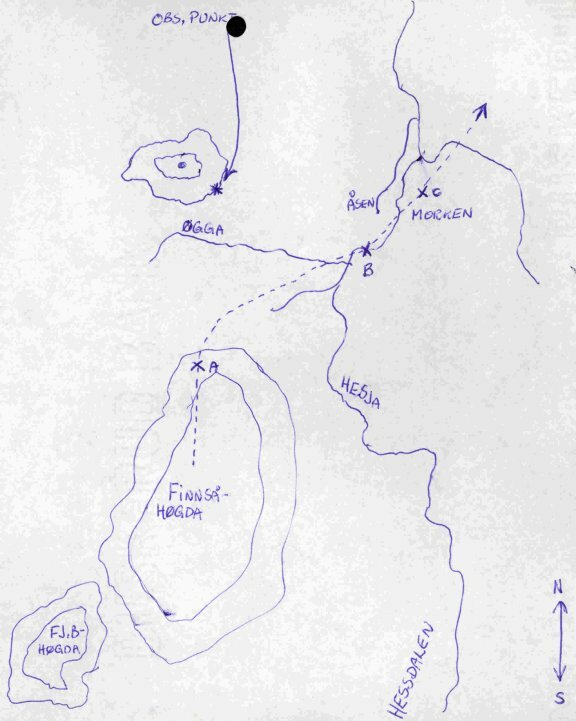 In the upper picture you can see the northern part of Aspåskjølen. 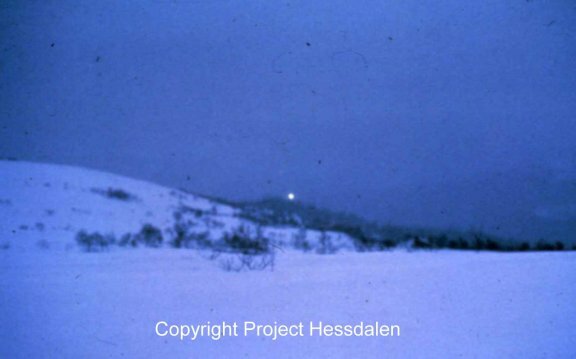 The light moved towards Litlfjellet, followed the valley to the left. The lower picture is taken just before the light disappears behind the mountain in the eastern part of Litlfjellet. Leif used a Nikon FG with a 50 mm lens. Last update 23 November 2010 12:25:28.